Gift giving with a Baltic theme has never been easier with a wide variety of crafts from Estonia, Latvia and Lithuania available on sites such as etsy.com. Meanwhile it isn’t only Laima chocolates and Rīgas šprotes available in the US, Canada and Australia anymore, with vendors such as Balticshop.com and Balticmall.com on the scene – although there are plenty sprats to be found for those who can’t imagine a Christmas without! A traditional Latvian winter gift is a pair of mittens. Every ethnographic mitten represents a specific region, and there is a rich tradition of folkloric etiquette associated with the wearing, storing and displaying of these colorful, handmade gifts. Read the story of a thousand year old Latvian mitten here. 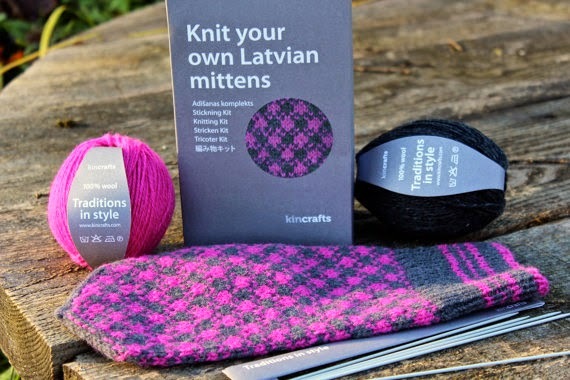 For the knitter on your Christmas list you could opt for a book of mitten patterns, or a DIY Latvian knitting kit. 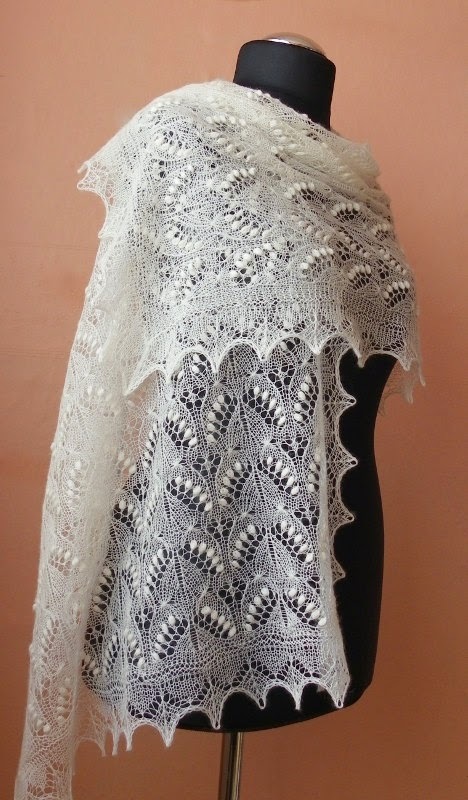 Meanwhile Estonia is famous for delicate handmade lace. There are dozens of options on etsy ranging in tones, size and pattern. All three of the Baltic countries are known for beautiful jewelry. The Namejs ring easily identifies the wearer as of Latvian heritage! 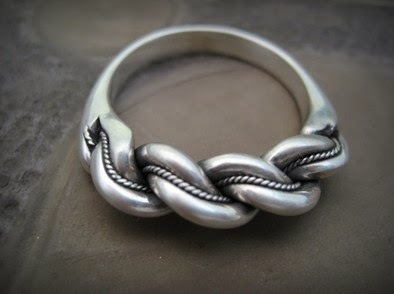 For reproductions of traditional Baltic jewelry from the era of Vikings to present try Balticsmith's etsy page. Baltic amber is a treasured component of many favorite pieces of jewelry, and buyers have a wide range of choices from artisans abroad selling online or at local Christmas markets, to specialized stores in the Baltics. 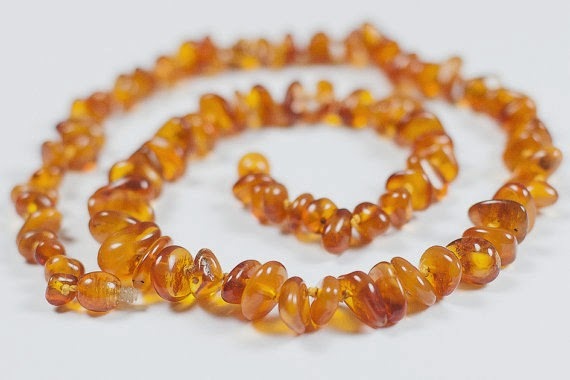 From traditional folk costume accessories to modern pieces, amber is currently en vogue here in the US for infants’ teething necklaces (see this post on the benefits of wearing amber). 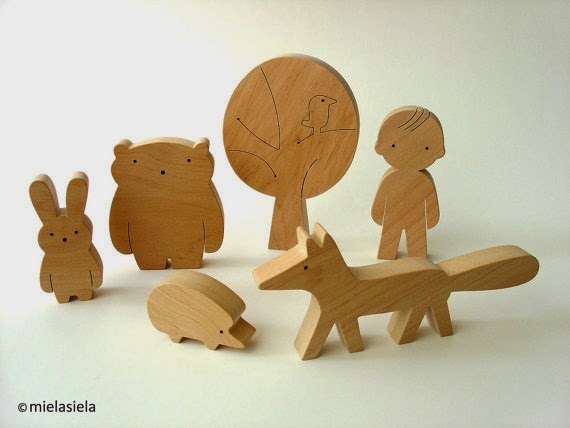 While on the subject of kids, there are all sorts of lovely wooden toys available from the Baltics. My boys are big fans of the puzzle letters that can be combined to spell their names. 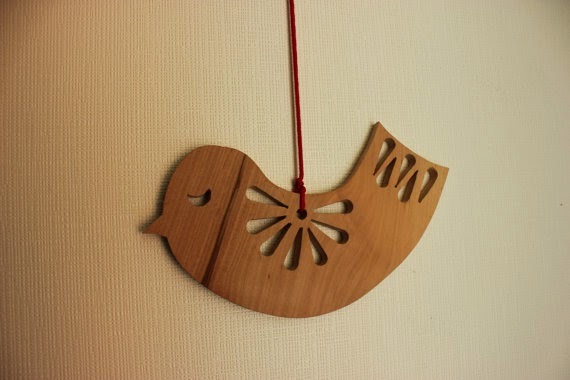 We also have many wooden Christmas ornaments that feature traditional symbols and forms, such as something similar to this wooden bird with Lithuanian folk elements. 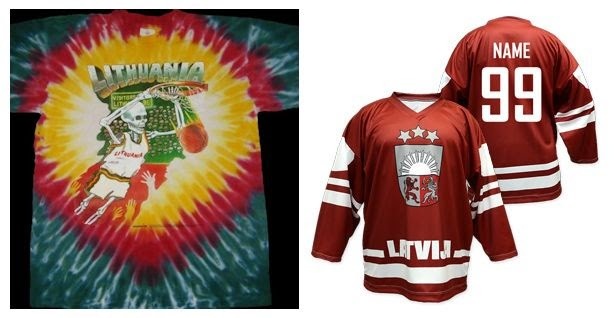 Every basketball fan needs a Lithuanian Grateful Dead tie dye Olympic basketball T-shirt – luckily some are available on ebay. And for hockey fans a personalized Latvian hockey jersey! 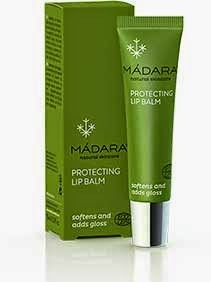 The Latvian cosmetics line Madara includes a variety of organic skincare products that would make lovely gifts. 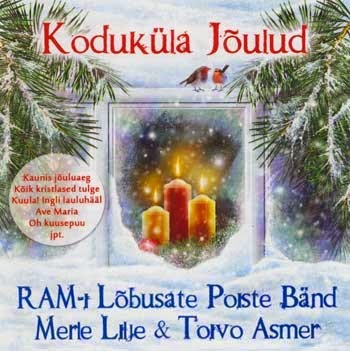 A new Estonian Christmas music CD just in time for the holidays. If you are in the mood for something different, try the recording company UPE. 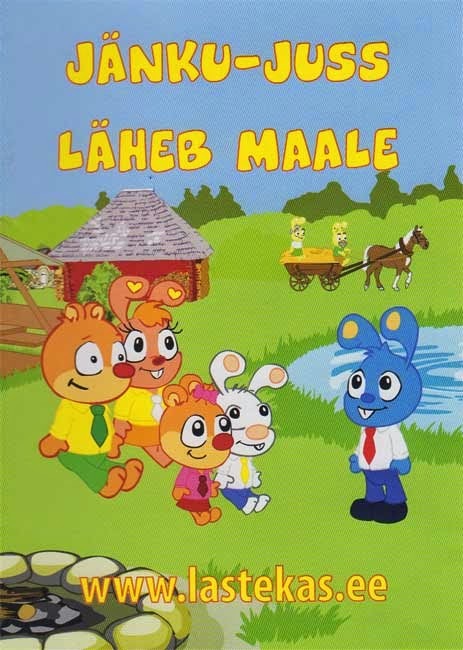 We try to watch TV in moderation, and when we do watch I try to include as many Latvian-language DVDs as possible to help reinforce the boys’ language skills. They love the multenes coming out of the Baltics in addition to the translated popular movies such as “Ledus Sirds” (Frozen). This board game is super-popular with my younger cousins, and there are quite a few other familiar games available in Baltic versions, such as Latvian or Lithuanian Monopoly. 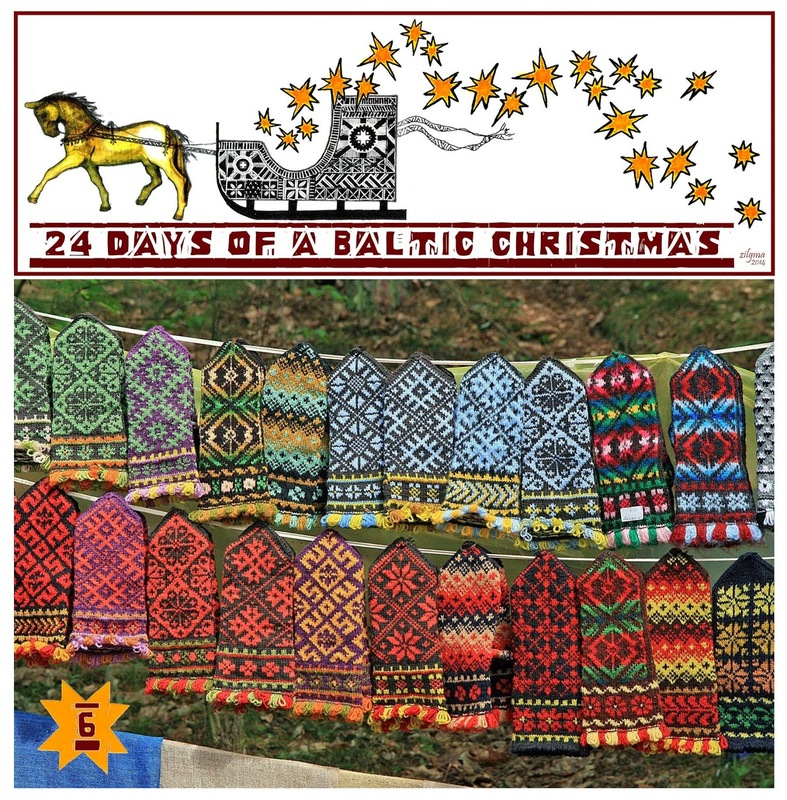 Right here on 24 Days of a Baltic Christmas we have a slew of talent that could provide an excellent gift. Among books there are Holly, The Captain, and Handsome Jack by Elga Ozols for the romance/fiction fan and The Power of Song: Nonviolent National Culture in the Baltic Singing Revolution by Guntis Šmidchens for the history buff. (Also I would be remiss not to mention the beautiful Latvian Santas by Maija that make an appearance in Elga’s post!) The newest cookbook in my collection would make a great gift for someone looking to eat healthier in the coming year; Essential Nourishment: Recipes from My Estonian Farm by Marika Blossfeldt (also available in Estonian). I am looking forward to her newest book, Looduslik toit: ehe ja tervendav once it is translated into English. Finally, although she will not be participating in the series, Signe Meirāne’s Gatavot un Baudīt (in Latvian) has recently been a hit with our family's taste buds. So there you have it, some Baltic-themed gift ideas for the friends and family on your holiday list. If you have any suggestions of Baltic artists whose products would make a great gift this holiday season, please leave a comment! Tomorrow on Day 7 of 24 Days of a Baltic Christmas - Zinta Aistars, of Zinta Aistars: On a Writer's Journey! Excellent list! I have one of the small bags with a Latvian design on it from NikJ Designs - love it. Also adore Marika's Essential Nourishment - such a beautiful and informative book! Other suggestions - linen items (can be found on Etsy and elsewhere), and - really - any Baltic music. Thanks Dziesma! 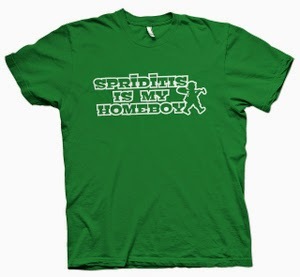 Yes, linens! I would love to get the boys linen pants - they come in handy in the summer heat. Awesome list! Keep up the good work.